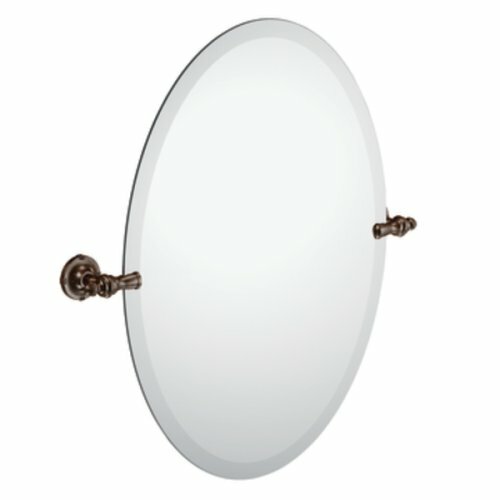 Add a luxurious touch to your bathroom with the Moen Gilcrest Oval Tilting Mirror. Offering a frameless design and oil rubbed bronze hardware, this elegant oval mirror tilts to allow you to easily adjust the angle. The Gilcrest Mirror comes with mounting hardware and a convenient template that help take the guesswork out of installation. It is backed by Moen's Limited Lifetime Warranty.